You will rarely see me in shorts. Especially ones this tiny! It's important to balance them by covering up on top and keeping things relatively casual. All the necklaces are vintage, except for the one with coral colored tube beads. I made that one :) Michael Kors has one that's really similar and made of real coral. You look gorgeous, and I WANT your clutch. 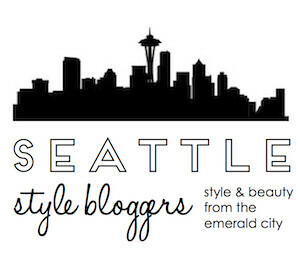 This week's visit to your blog is just full of gems, Catie! I'm practically salivating, both of your gorgeous vintage jacket (that colour!) and that amazing looking recipe for Emerald City Bean Spread :) I completely agree about micro shorts, but I have to say, I think you pull them off beautifully - and you have quite a lovely pair of legs, too! Love this look! Especially the jacket; such a great color!! I 100% agree with that rule of thumb-short shorts need to be paired with a more modest top! Great advice about the shorts...the short ones are everywhere in the shops this summer. It's the jacket I'm admiring. Love the faux-choral one which you made! Excellent tips about wearing shorts! Good luck with the flats! Super cool outfit, Catie! I love the color of that little jacket.